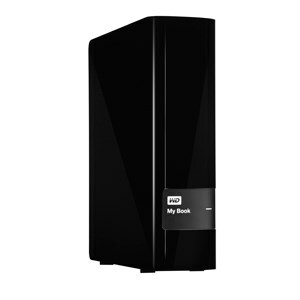 Western Digital announced redesigned versions of its My Book and My Book for Mac external HDDs. The new models offer USB 3.0 connectivity and are available in capacities of up to 4GB (3TB for the Mac edition). WD®, a Western Digital (NASDAQ: WDC) company, has redesigned its popular My Book® and My Book for Mac lines of external desktop drives to provide as much as 4 TB storage capacity and enhanced data protection for those who create and collect large volumes of data, video, music and photos. With USB 3.0 for speed, the new My Book lines are available in 2 TB, 3 TB and 4 TB capacities for the largest content collections. At any point in time, anything can happen to one’s data. Whether it’s a lost notebook or destructive virus, it’s critical to keep data safe and maintain a backup of important documents and valued content. Security measures against unauthorized access to the drive are handled through WD SmartWare Pro automatic backup software with hardware encryption and password protection. To protect files against theft, fire, flood or other natural disaster, My Book integrates Dropbox1 to store files in the cloud. For full system backup and secure deletion of files, My Book includes Acronis True Image (ATI) WD Edition. ATI WD Edition is an integrated software suite that ensures security of all information on the PC and can be used to securely delete any confidential data no longer needed. ATI WD is also used for disaster recovery in case of a fatal system crash, recovering the entire PC including files, software and preferences. The My Book for Mac will also incorporate SuperSpeed USB 3.0 and UAS connectivity for increased speed and flexibility. Available in 2TB / 3TB capacities, My Book for Mac is compatible with Apple’s Time Machine™ for safe and effective backup of files. The drive is equipped with WD Security software for password protection and hardware encryption to protect files from unauthorized access, and comes with WD Utilities, which allows users to register drives, run diagnostics, and more. My Book and My Book for Mac hard drives are protected by a 3-year limited warranty and is available from the WD store at wdstore.com as well as select retailers and distributors. Manufacturer’s Suggested Retail Price (MSRP) will be $129.99 USD for the 2 TB, $149.99 for the 3 TB, and $179.99 for the 4 TB.